As a statement of fact, the fuel efficiency is wonderful — there are fewer stops at the gas station, it takes regular unleaded, and costs around $30 CAD to fill the tank from empty. 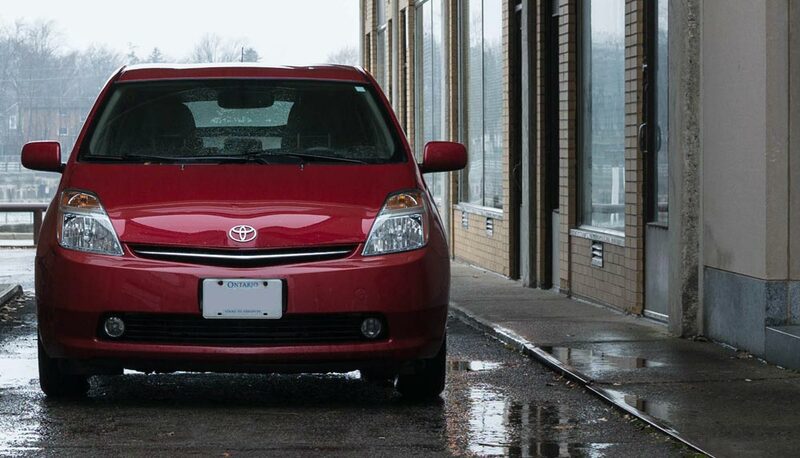 There is, however, more to the Prius than just economy. There’s also the freedom to go anywhere with no concern of my car’s safety. I have written before about my aversion to parking lots and the accompanying dings and damages, and driving a ten-year-old car removes all anxiety of such things. I will literally park this thing anywhere, with little regard or worry. 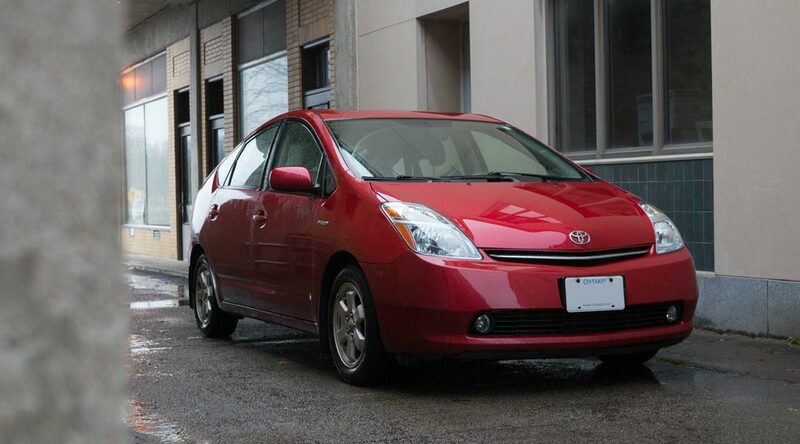 Despite its age, the Prius has a wealth of technology — keyless entry and push-button start, substantial steering wheel buttons, auto-climate control, automatic headlights. There’s a AUX jack to plug my phone into, mimicking the USB connection I use in the Lexus. The JBL sound system isn’t bad either, even with the wonky front-driver speaker. I’m less positive about the cabin, which feels decidedly bland and lacking in character. The large center display is nice enough, and I do like the deep-set speedometer, but the beige fabric and plastic everywhere do have me pining for the IS and its leather interior. Still, it’s hard to complain about so much functional space. There are two glove boxes, a massive armrest, and just last month, I discovered yet another storage area under the cup holders. The 1.8L gas-electric hybrid engine doesn’t have much in terms of horsepower, but the Prius doesn’t lack in acceleration. The car makes one hell of a racket at full throttle, though, and the overall experience can generously be called “rough around the edges”. Clearly, driving dynamics were not a major concern during development — body roll is noticeable, steering is feather-light, and the seating position is comparable to a dining room chair. To the surprise of no one, I will enjoy moving back into the Lexus when our switcheroo comes to an end. Even so, I’ve enjoyed my time in the Prius. It’s easy to understand the car’s iconic status, and why this generation is still so popular on the road. It may be more appliance than vehicle, but that doesn’t really take away from its greatness. Ian Schmidt: The mouse was a pain, the touchpad they replaced it with is a definite improvement.